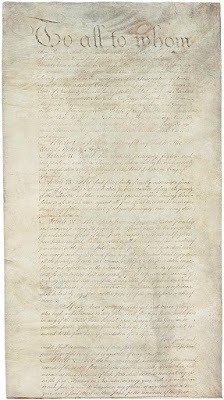 The Continental Congress adopted the Articles of Confederation, the first constitution of the United States, on November 15, 1777, but the states did not ratify them until March 1, 1781. The Articles created a loose confederation of sovereign states and a weak central government, leaving most of the power with the state governments. 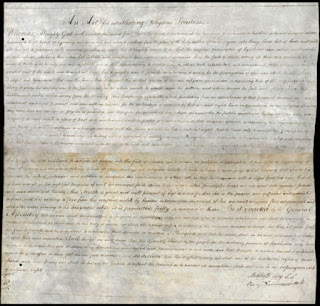 Once peace removed the rationale of wartime necessity the weaknesses of the 1777 Articles of Confederation became increasingly apparent. Divisions among the states and even local rebellions threatened to destroy the fruits of the Revolution. Nationalists, led by James Madison, George Washington, Alexander Hamilton, John Jay, and James Wilson, almost immediately began working toward strengthening the federal government. They turned a series of regional commercial conferences into a national constitutional convention at Philadelphia in 1787. 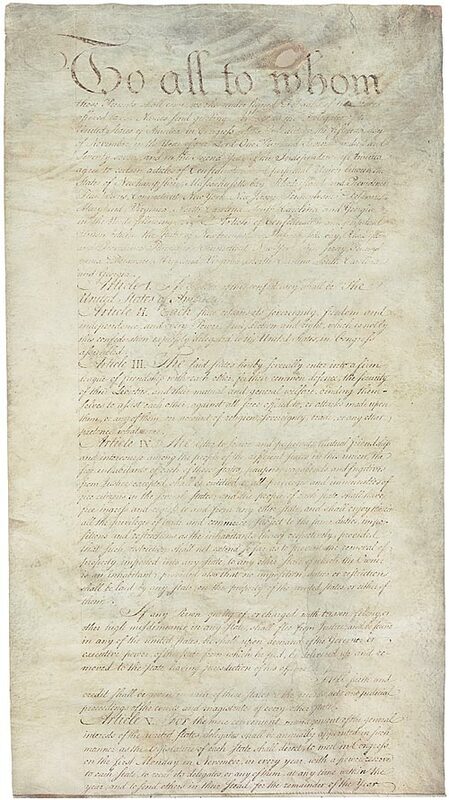 John Jay to George Washington, March 16, 1786 [Library of Congress]. 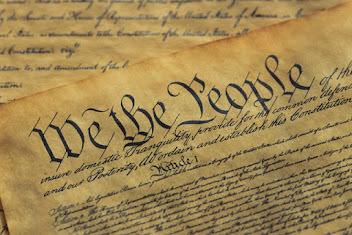 This document was in force from March 1, 1781, until 1789 when the present day Constitution went into effect.